Contributing Editor 1: Help improve this article and Get Your Name Here! Contributing Editor 2: Contribute your knowledge and Get Bragging Rights!. In 2004, the U.S. Military began deploying Mine Resistant Ambush Protected (MRAP) vehicles to Iraq in response to the high number of casualties being inflicted upon troops from improvised explosive devices (IEDs). At that time, there was only one company in the United States manufacturing vehicles that met the Defense Department's needs. 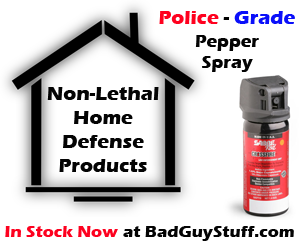 That sole supplier was Force Protection, Inc., of Charleston, SC. Force Protection only had 12 employees when it was awarded its first multi-million dollar U.S. Military contract. Since then, MRAPs have successfully protected American troops through several hundred IED and mine detonations that would have otherwise been fatal. Considering that the standard HMMWV (Humvee) typically carries 4 Marines, one can conclude that over 1,000 military lives have been saved through the battlefield application of MRAP vehicles. The story of the MRAP's evolution, as well as the evolution of Force Protection, Inc., is one in which entrepreneurial drive responded to the Defense Department's wartime open checkbook. And in the process, American military lives were saved. In March 2003, at the start of the war in Iraq, Force Protection was known instead as Sonic Jet Performance, Inc., a speed boat manufacturer. The company was struggling in the boat business and sought a means of re-inventing itself. In order to stay afloat, the boat builder had just sold 20% of its equity for only $25,000. Sonic Jet's CFO at that time had heard of a South African company that was manufacturing heavily armored mine-resistant vehicles which were consistently proving their effectiveness in that country's various conflicts. Seeking to do something completely different and breathe new life into the company, Sonic Jet changed its name to Force Protection, Inc. and licensed the South African manufacturer's vehicle designs. 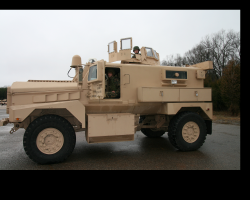 Force Protection began manufacturing their blast resistant vehicles with heavy steel v-shaped underbody hulls in two configurations, the 19.5 ft. "Cougar" and the 27 ft. "Buffalo". The steel used in manufacturing the trucks came from one of only two U.S. Military approved suppliers of special armor-grade steel. The engines were mil-spec Caterpillar diesels generating over 800 ft. lbs. of torque. The massive vehicles were priced from around $500,000 to $600,000 each. The truck's v-shaped hull re-directed the force of IED blasts outward and away from the vehicle's passenger compartment. And, the special amored steel that the vehicles were made of provided a far more secure environment than that of a HMMWV. This greatly enhanced the survivability of troops in the event of an ambush. Due to expansion challenges at Force Protection, several early orders for the Department of Defense were not completed in a timely manner. And, Force Protection received harsh criticism and fines for not adequately meeting its government contract obligations. However, since they were still the only company providing a viable solution for the U.S. Military's needs, the orders kept coming in. Amazingly, the Pentagon even infused $6 million dollars into the young company in order to fund the ramp-up of Force Protection's manufacturing capabilities. As the Marines in Iraq swapped-in more MRAPs to replace their highly vulnerable HMMWVs, casualties from IEDs and mines significantly declined. The Cougar model's success on the battlefield drove Force Protection's growth at a tremendous pace. By the middle of 2007, that $25,000 lifeline investment from 2003 grew to be worth over $60 million. Force Protection has grown to now employ over 1,000 people. But, the once sole-source niche market it used to enjoy is now rife with competion from corporate giants like BAE Systems, Inc. and Oshkosh Corporation (formerly Oshkosh Truck). As a result, the company's stock has cooled down considerably from its 2007 peak. 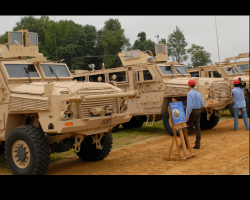 The enormous success of MRAP vehicles basically surpassed the expansion capabilities of Force Protection as a company. By spreading the supply chain across multiple manufacturers, the U.S. Military has been better able to deliver desperately needed MRAPs to troops in a more timely manner. Though the tale of a struggling boat builder that went on to sell nearly $1.5 billion dollars worth of armored vehicles in just 5 years is an inspiring story to entrepreneurs, the more important take-away is that over a thousand American servicemen and women are alive today who otherwise wouldn't be if MRAP vehicles were never pressed into service. Submit a photo and earn Bragging Rights for helping to improve this article.